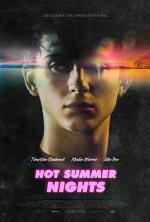 Hot Summer Nights release date was Friday, July 27, 2018. This was a Limited in theaters release. Available exclusively on DIRECTV June 28. In Theaters July 27.